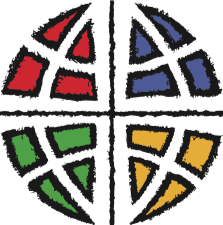 The people of St. Luke Lutheran Church are called by God to be a community of Christians, a part of the body of Christ. We are called to invite others to share in God's Kingdom. Our diversity welcomes and includes the mix of the ages, races, genders, physical and mental capabilities, and sexual orientations with which God's children are blessed. We rejoice in the knowledge that nothing can separate us from the love of God in Christ Jesus-neither our wealth, nor our poverty, nor our nationality, nor our political convictions, nor anything else in all creation. We are called to follow God in his mission of reconciliation and justice and we celebrate our journey of discipleship with special appreciation for the privileged responsibility of our campus-related mission. 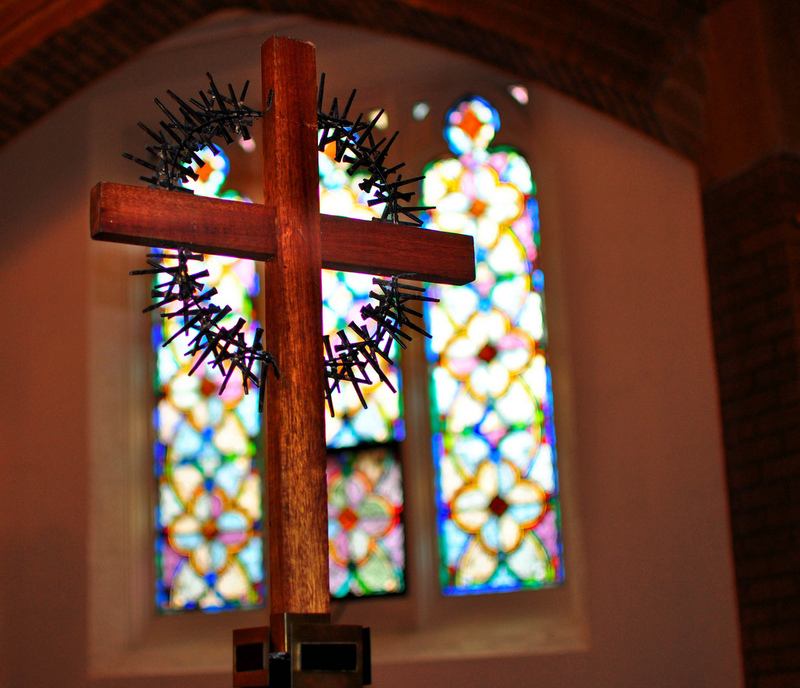 The cross in the sanctuary backed by stain glass window.